WorldofVolley :: ITA M: Trentino end regular season with a 22-4 score, Monza had to surrender! 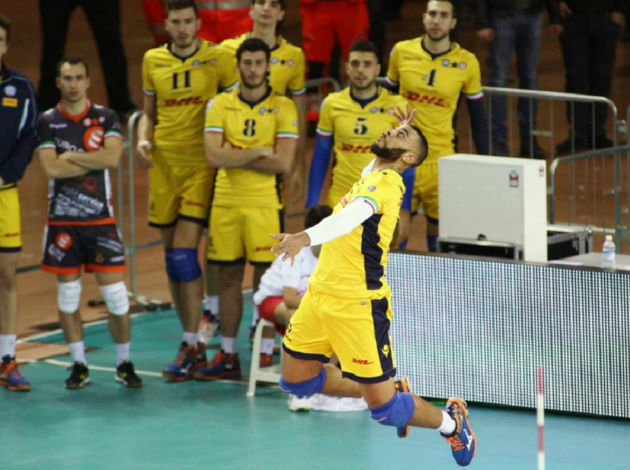 ITA M: Trentino end regular season with a 22-4 score, Monza had to surrender! Trentino have defeated Monza in four sets to finish the regular season in the men’s Serie A1. After two sets, the game was tied and it seemed that the fans could watch the tie-break. However, in the third and fourth set, Trentino controlled the situation on the court and won the game. It was their 22nd in the league and they will start the playoffs from the second or from the third place. Luca Vettori was on fire, finishing the game with 27 points, while the U.S. star Aaron Russell has scored 15 points. On the other side, Paul Buchegger had 19 points.